If you are trying to sell a Fresno house during the winter months, you might want to incorporate a few festive touches into your open house. We have put together some creative holiday themed open house ideas to help you sell your Fresno house fast! 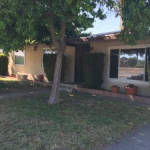 Many people wait to list their houses until after the holiday season, however, when done correctly, it can actually be a great time to sell your Fresno house! Many people are looking to buy before year-end or relocate during winter break. Reaching these people is key to selling! And by offering a warm and welcoming open house, your property will stand out to these prospective buyers!